One of the first sweaters I attempted to knit was this easy style. When you are a novice knitter any shaping, complex stitch patterns or colourwork can be overwhelming, no matter how attractive the design looks. 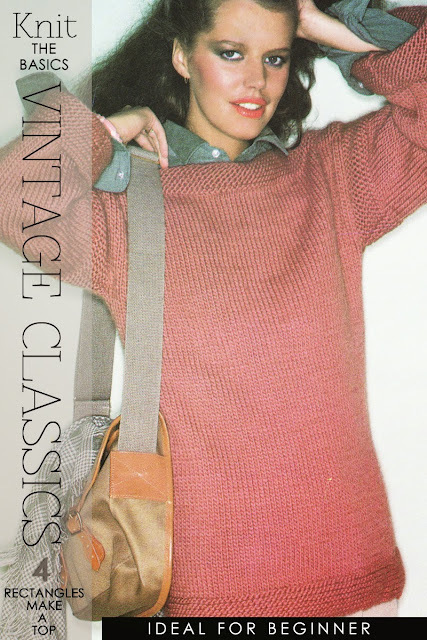 The pattern featured above is a vintage classic but just as stylish today as it was when I first saw it. No shaping, garter edges, back and front alike convinced me that I could accomplish this project. Furthermore, this simple style is seasonless and can be made up in many different types of yarns. 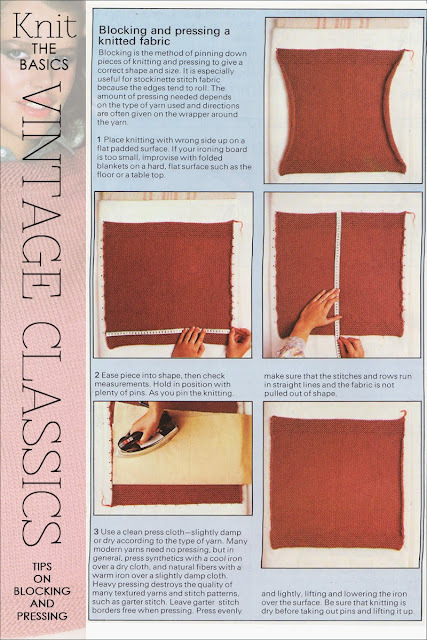 If you are just beginning, this is perfect for that first project but if you are a more seasoned knitter, a small repeat pattern such as rice or double moss could be substituted for the plain stocking stitch. The original pattern had been written for only one size and length. The tension remains the same as in the original pattern but two more sizes are now available as well as two more lengths. 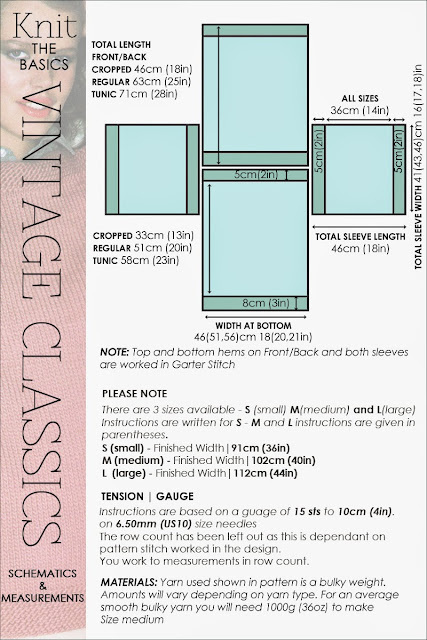 The finished bust ranges from 91cm(36in) - 112cm(44in) and you can choose a cropped, traditional or tunic length. Four rectangles make up this top. You can't get any easier than that. 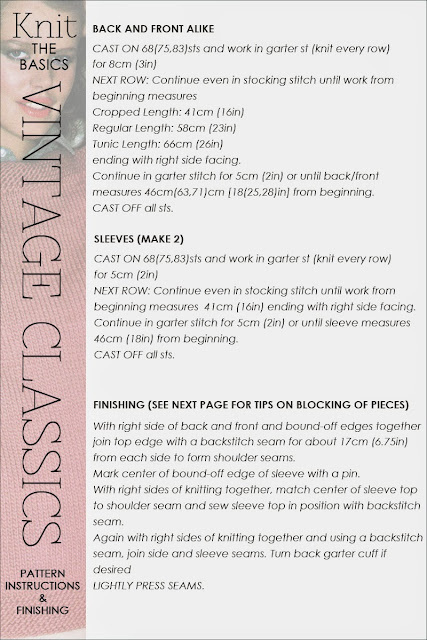 Read further for schematics, pattern and tip on how to block and press knitted pieces for finishing.